I think we can all agree that nothing beats a batch of homemade cookies. They make the house smell incredible and people are a lot more likely to welcome you into their home if you show up with baked goods. My main problem with most cookie recipes is the amount of butter that goes into them; for instance, the classic Nestle Toll House chocolate chip cookie recipe calls for 2 sticks (!). They’re delicious, of course, but it’s really tough to justify consuming that much butter (especially given how often I like to eat cookies). 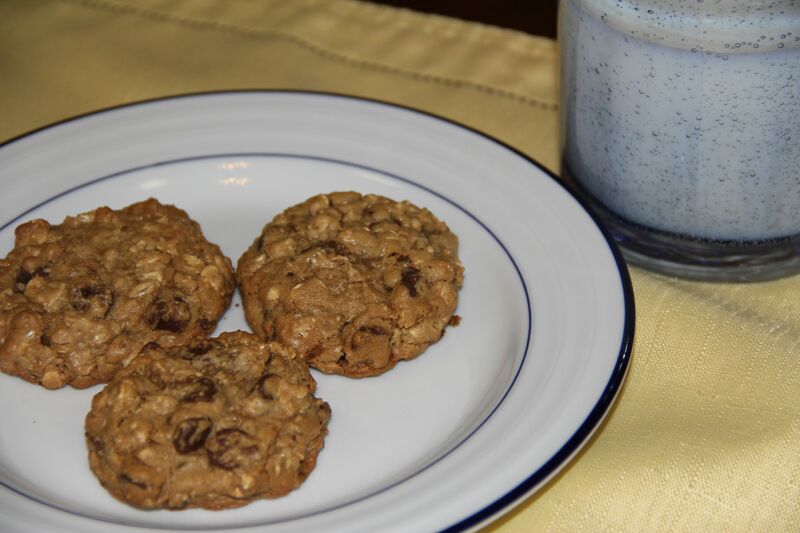 I’ve been on the lookout for a “healthier” version of a cookie recipe and found that I needn’t look any further than the tried and true America’s Test Kitchen Family Cookbook. We received this cookbook as a wedding gift and it has really proven itself to be a handy tool to have around the kitchen. It has tons of recipes, product reviews and step-by-step instructions (with pictures) for things that other cookbooks assume is common knowledge. Also, all of their recipes have been tested dozens of times to make sure they have it down pat and that it’s the best recipe out there. 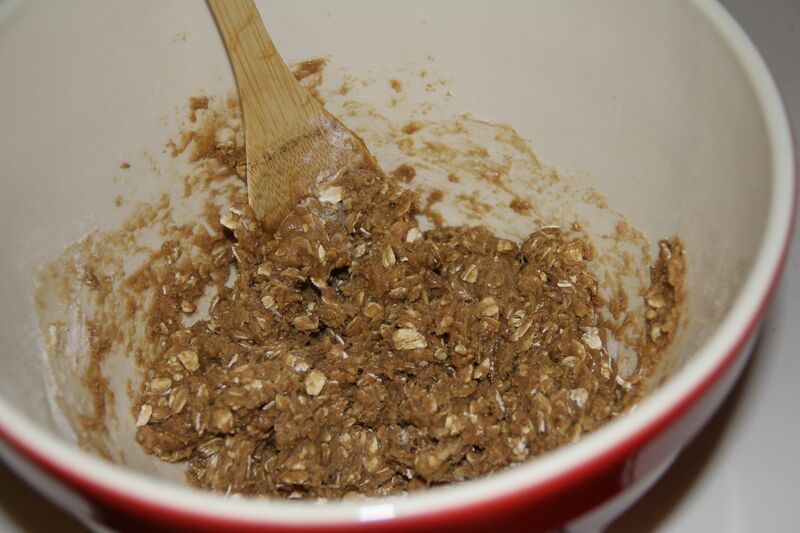 As it turns out, they also have a couple of “light” recipes, one of which was a “Light Oatmeal Cookie” recipe off of which I based my batch. 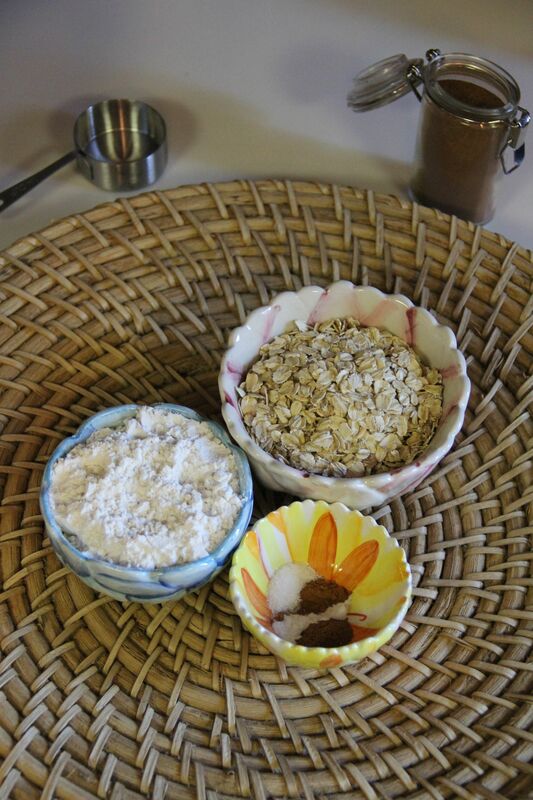 Begin by whisking the oats, flour, cinnamon, baking soda, nutmeg and salt in a medium bowl and set aside. 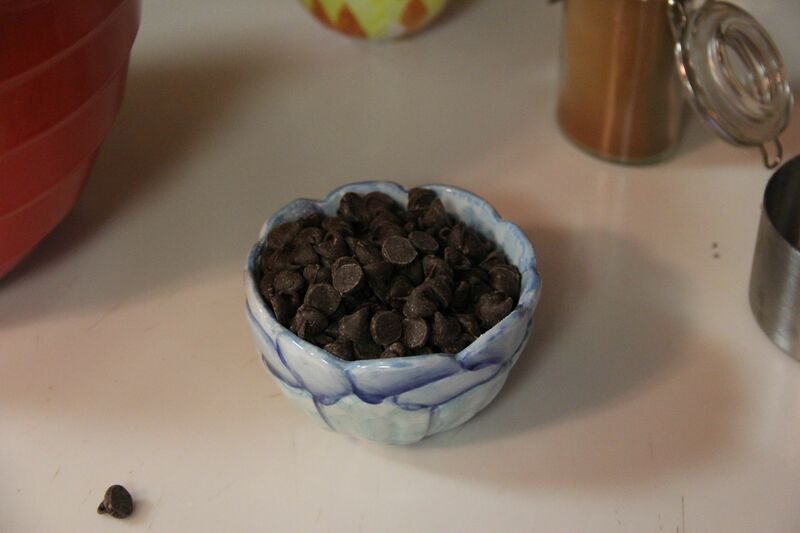 Add in the chocolate chips and try not to eat the dough. Optional step: At this point you might want to put the dough in the refrigerator for an hour or so to make it easier to work with. Using a tablespoon of dough at a time, roll the dough into 1-inch balls. Space the balls 2 inches apart on 2 baking sheets, still not eating the dough. 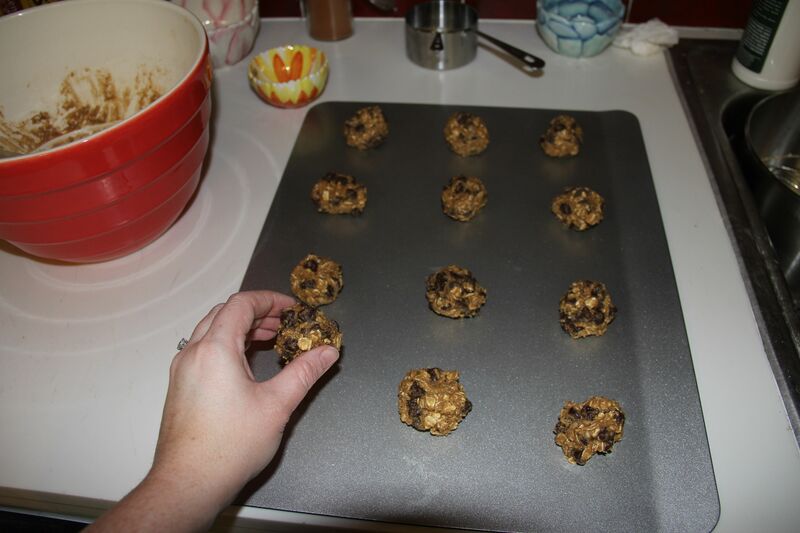 Bake the cookies one sheet at a time until the edges are light golden and the centers are just set, 11-13 minutes. Rotate the sheet halfway through baking. Let the cookies cool on the baking sheet for 5 minutes, then serve warm or transfer to a wire rack and let cool completely. Adjust the oven rack to the middle position and heat the oven to 350 degrees. 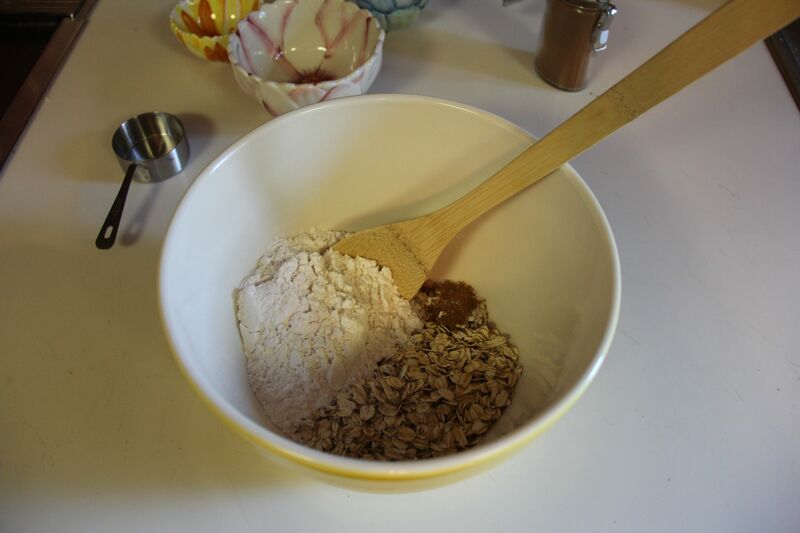 Whisk the oats, flour, cinnamon, baking soda, nutmeg and salt together in a medium bowl and set aside. 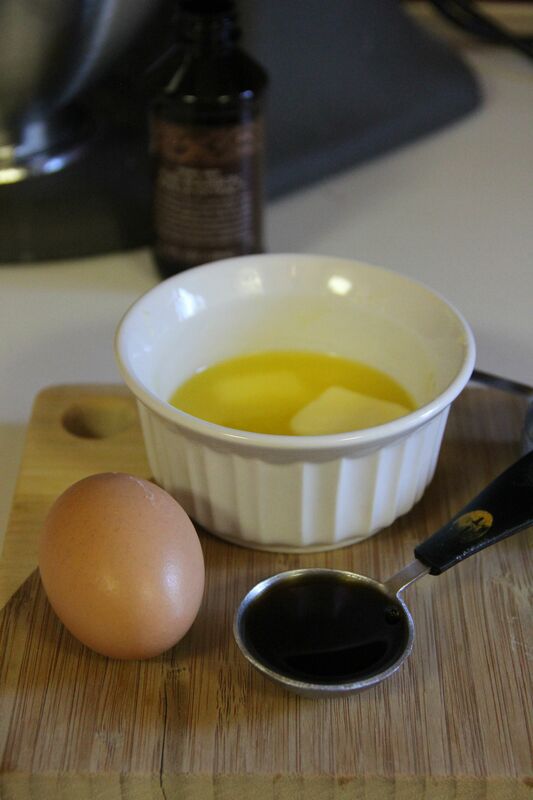 In a large bowl, whisk the butter, egg and vanilla together. 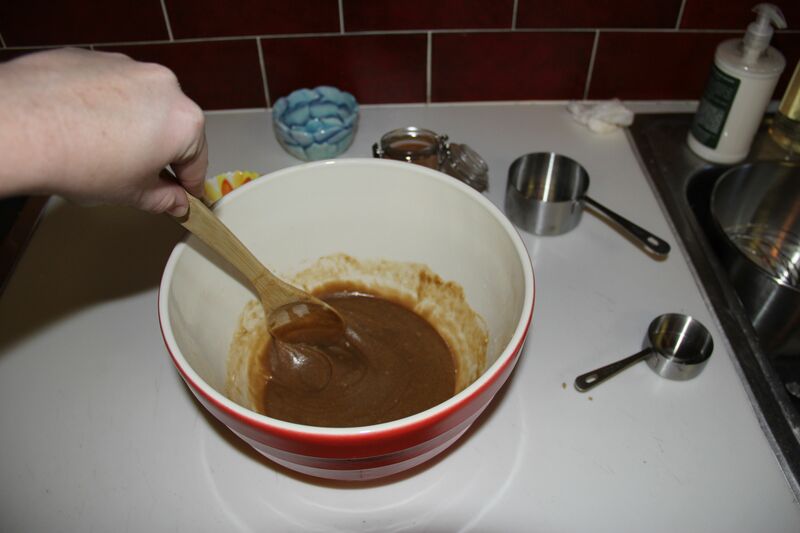 Stir in the brown sugar until smooth. 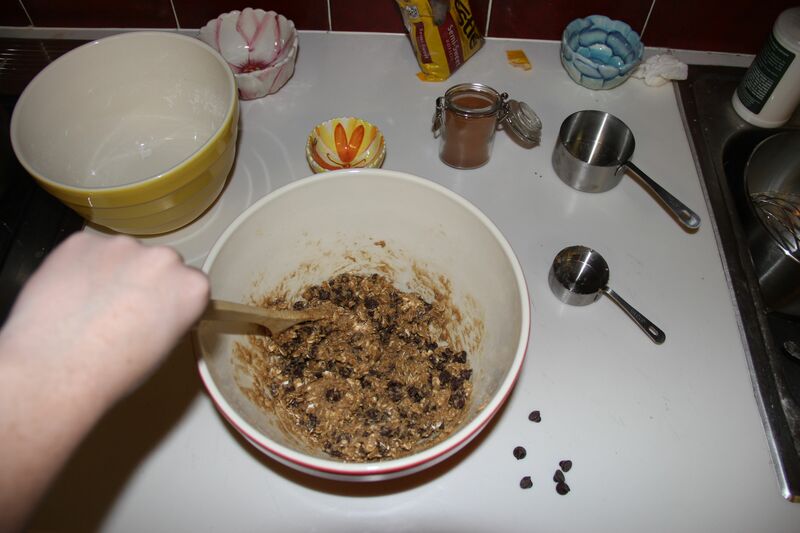 Stir in the oat mixture until combined and then stir in the chocolate chips. 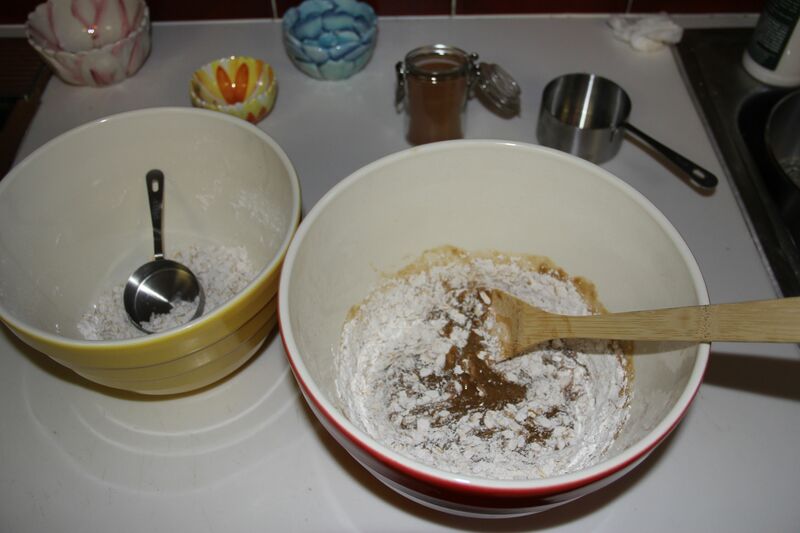 Using a tablespoon of dough at a time, roll the dough into 1-inch balls. Space the balls 2 inches apart on 2 baking sheets. Bake the cookies one sheet at a time (that’s important!) until the edges are light golden and the centers are just set, 11-13 minutes, rotating the sheet halfway through. 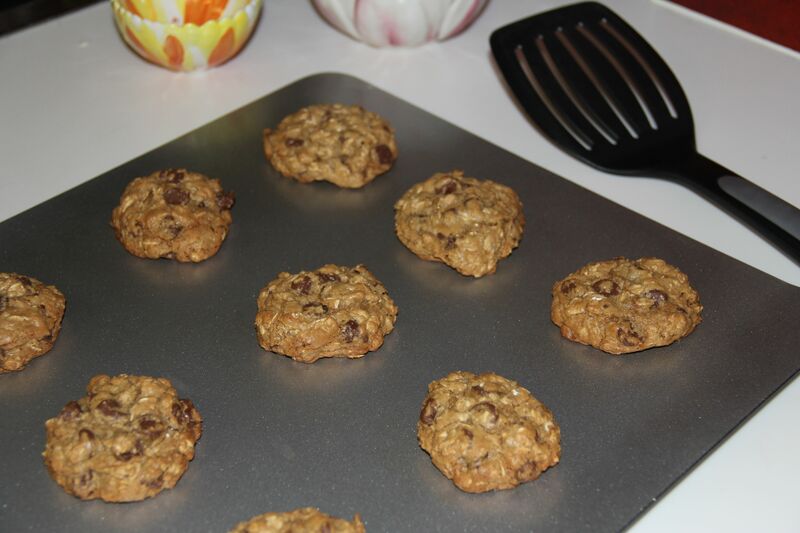 Let the cookies cool on the baking sheet for 5 minutes before serving. Thanks Dad! I had some set aside to bring over but then I forgot them…Brody is probably enjoying them as we speak, he can tell you how they are.